At some point in our younger years, most of us held an idea of how we thought life would go. Perhaps we’d go to college, travel, get married, have kids, do our dream career and live “happily ever after”. 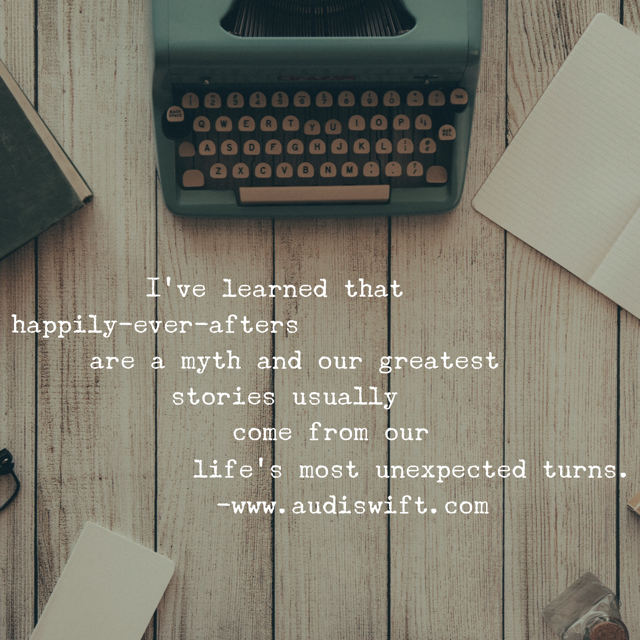 But I’ve learned that happily-ever-afters are a myth and our greatest stories usually come from our life’s most unexpected turns. Jeremy and I were two years into our marriage, Harper was six months old, I had recently graduated with a degree in dietetics, yet I had just turned down my internship program to become a registered dietician. Jeremy and I both had felt an overwhelming lack of peace about going through the program and so I was now a stay-at-home-mom not really knowing what I was supposed to do next but be with my girl. Then one morning while I was in the shower, I heard that small, still voice interrupt the silence saying: I want you to write your story. Truthfully, I thought God had it wrong. How could He use a messed up, marred story like mine? I was sure I had invalidated myself for any sort of spiritual, redemptive purpose. But instead of throwing that moment completely out, I held on to it in my heart. A couple years later, I had started a blog with a few other women who wanted to bring hope and encouragement to others. At the last minute, I heard Donald Miller was holding his Storyline conference in town. I wasn’t a serious writer, but I could always learn to write a better story (especially since I hadn’t been able to shake the growing feeling that I was supposed to write my story at some point). I certainly didn’t realize the conference was about how to LIVE a better story as well. Whatever this conference was about, I felt compelled to go. I remember praying the entire drive to the conference and asking God to meet me there. I specifically asked God to confirm writing for me – to make it abundantly clear that I should move towards sharing my story. I needed a little help in my faith. I cannot fully explain the depth of how this hit me. I felt as though Don was talking right straight to me. Right there in my seat, tears silently streamed down my face. And I could. Not. Stop. Them. I see you and I love you. You are special to me. You thought all of your pain made you invalid. Made you worthless. But I say all of your pain makes you powerful, relatable. This world is in so much pain. And all of that pain is mine to redeem. It is mine to heal. All of your pain has been a preparation. It is mine to use to save many lives. And this is what God is saying to you too. Life’s unexpected twists and turns are not lost on Him. 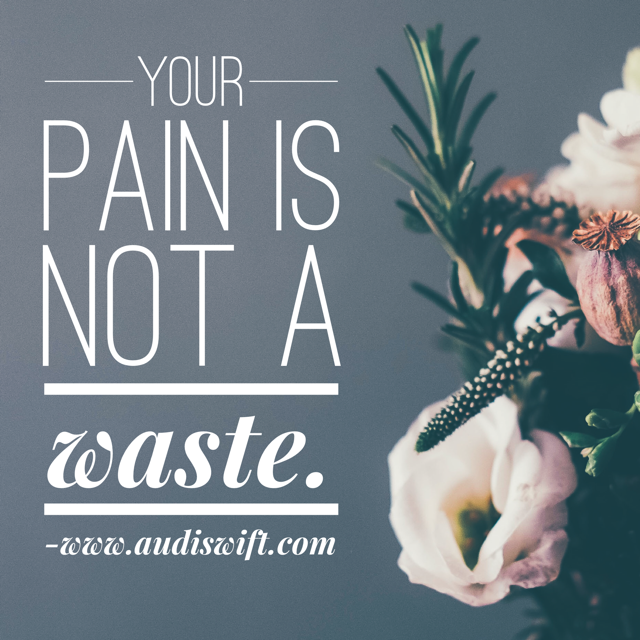 Your pain is not a waste. God has been with you every step of the way, teaching you, preparing you for all the goodness He has for you. If we are willing, God is able to bring healing and wholeness to others through our pain. What pain in your life have you believed to make you invalid? Can you begin to imagine how God could take your pain to help and heal others who are suffering?